Summer. The season when I always -- 24/7 -- have a drink in my hand. I'm trying my best to make healthy choices because wow can I get hooked on high calorie drinks and smoothies. 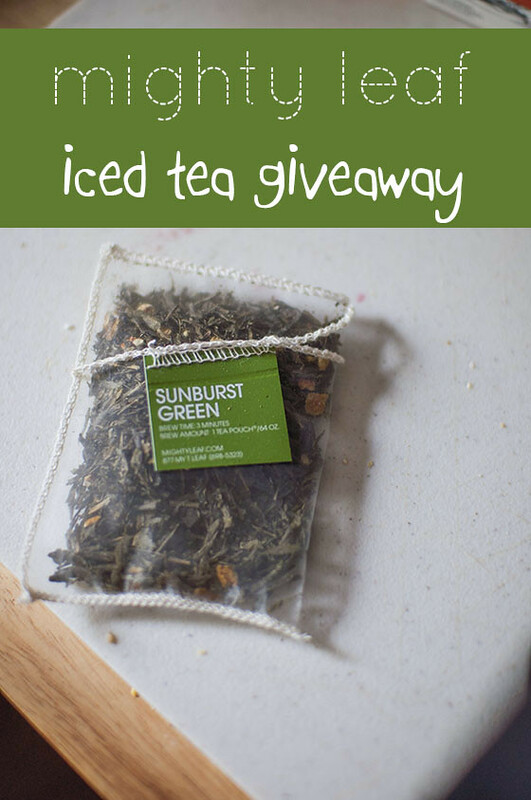 So, when Mighty Leaf Tea was kind enough to send us a sampling of all their summer iced teas to try, I thought -- what a perfect opportunity to clean up my ways! First off, check out the flavors: Organic Black, Ginger Peach, Sunburst Green Tea, and Calypso Mango. All ranging in caffeine level, of which the green tea is my go-to because it's a bit lower on the spectrum. I'm always impressed with Mighty Leaf's flavors and their high-quality tea bags are just neat. 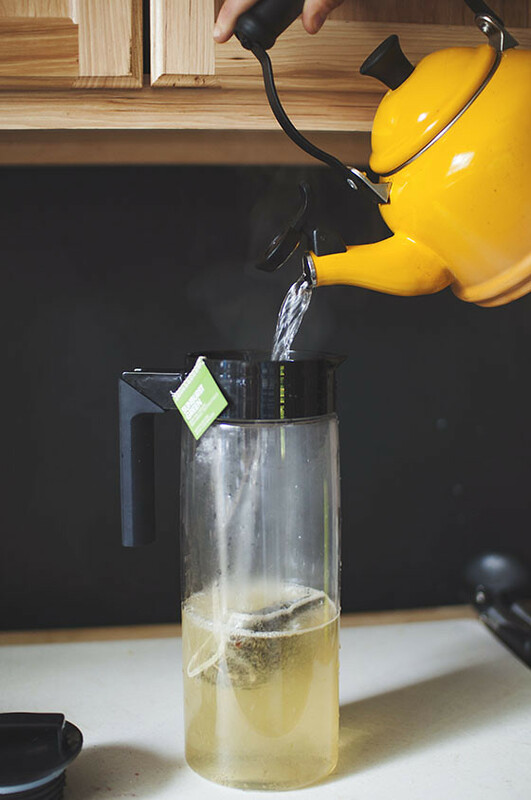 Add 1 tea pouch to a glass pitcher. 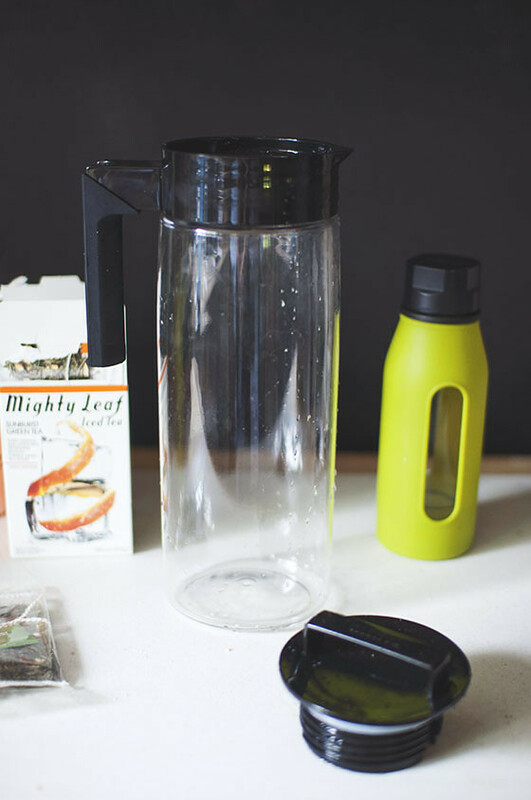 This handy carafe, which you'll have a chance to win, makes it really easy to pour + store the tea. Pour 32 ounces of boiling water over pouch and steep for 4-5 minutes. Remove pouch and add ice to remainder of pitcher. Though -- GASP -- I'm not much for actual ice in my iced tea. I know that sounds strange. I usually just fill up the pitcher with additional water. I could explain up and down how these teas are absolutely delicious. How they take the edge off a particularly hot day. How I am IN LOVE with the mango and a squeeze of lemon. A drizzle of honey. Maybe even some chia seeds on occasion. On and on. Why don't you try some for yourself? Yes. This is a giveaway post. What you'll win ($60 value) . . .
TO ENTER: Leave a comment with the word MIGHTY somewhere in the mix. 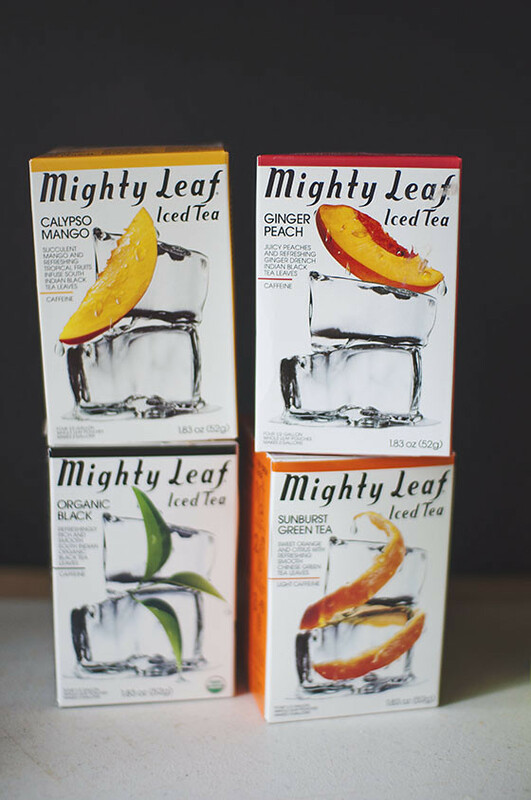 IN ADDITION: Please leave a comment about your favorite iced tea recipe + choose a Mighty Leaf Iced Tea you'd likely use to make it. ALSO: To win, I need your email address -- so please provide it (or your blog link so I can find it -- just some way of contacting you) or, unfortunately, you cannot win. PS: One entry per email address is allowed. The winners will be selected using a Random Number Generator and announced Monday (7/26) morning. Good luck! 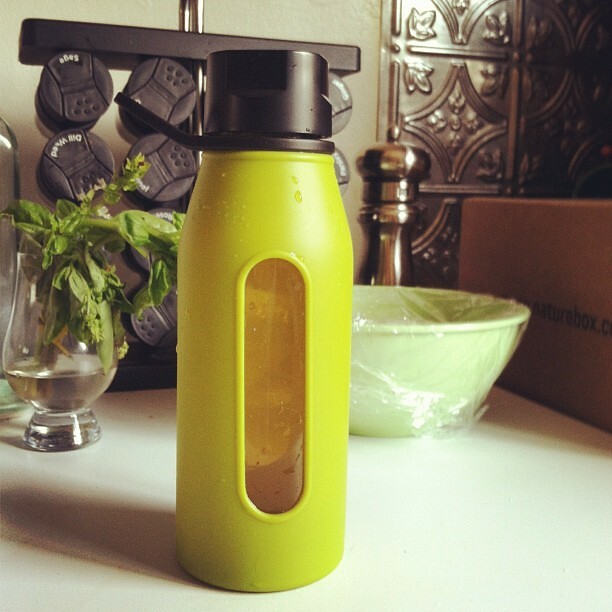 I'm off to yoga with a nice bottle of chilly tea . . .